LOCATION: The United States of America (USA) is in North America, bordering both the North Atlantic Ocean and the North Pacific Ocean, between Canada and Mexico. El Paso is in the state of Texas. ECONOMY: The U.S. economy is the largest national economy in the world. The United States has a capitalist mixed economy, which is fueled by abundant natural resources, a well-developed infrastructure, and high productivity. The private sector constitutes the bulk of the economy, with government activity accounting for 12.4% of the GDP. The economy is postindustrial, with the service sector contributing over 75% of GDP. El Paso has a diverse economy and is an important entry point to the U.S. from Mexico. Education is also a driving force in El Paso's economy. Call center operations make up a large percentage of employments in El Paso. Alcohol & Tobacco costs for alcoholic beverages such as alcohol at bar, beer, locally produced spirit, whiskey, and wine as well as tobacco products such as cigarettes is relatively less expensive compared to other cities with a rank of 193 out of 276. Clothing costs for clothing and footwear products such as business suits, casual clothing, childrens clothing and footwear, coats and hats, evening wear, shoe repairs, and underwear is equally expensive on average compared to other cities with a rank of 179 out of 276. Communication costs for various communication costs such as home telephone rental and call charges, internet connection and service provider fees, mobile / cellular phone contract and calls is equally expensive on average compared to other cities with a rank of 149 out of 276. Education costs such as creche / pre-school fees, high school / college fees, primary school fees, and tertiary study fees is relatively more expensive compared to other cities with a rank of 69 out of 276. Furniture & Appliance costs for furniture, household equipment and household appliances such as dvd player, fridge freezer, iron, kettle, toaster, microwave, light bulbs, television, vacuum cleaner, and washing machine is relatively less expensive compared to other cities with a rank of 270 out of 276. Grocery costs for food, non-alcoholic beverages and cleaning material items such as baby consumables, baked goods, baking, canned foods, cheese, cleaning products, dairy, fresh fruits, fresh vegetables, fruit juices, meat, oil & vinegars, pet food, pre-prepared meals, sauces, seafood, snacks, soft drinks, spices & herbs is equally expensive on average compared to other cities with a rank of 116 out of 276. Healthcare costs for general healthcare, medical and medical insurance such as general practitioner consultation rates, hospital private ward daily rate, non-prescription medicine, and private medical insurance / medical aid contributions is equally expensive on average compared to other cities with a rank of 161 out of 276. Household costs for housing, water, electricity, household gas, household fuels, local rates and residential taxes such as house / flat mortgage, house / flat rental, household electricity consumption, household gas / fuel consumption, household water consumption, and local property rates / taxes / levies is relatively less expensive compared to other cities with a rank of 234 out of 276. Miscellaneous costs related to stationary, linen and general goods and services such as domestic help, dry cleaning, linen, office supplies, newspapers and magazines, and postage stamps is equally expensive on average compared to other cities with a rank of 121 out of 276. Personal Care costs for personal care products and services such as cosmetics, hair care, moisturizer / sun block, nappies, pain relief tablets, toilet paper, toothpaste, and soap / shampoo / conditioner is relatively less expensive compared to other cities with a rank of 186 out of 276. Recreation and Culture costs such as books, camera film, cinema ticket, DVD and CDs, sports goods, and theatre tickets is relatively less expensive compared to other cities with a rank of 242 out of 276. Restaurants, Meals Out and Hotel costs such as business dinner, dinner at a restaurant (non fast food), hotel rates, take away drinks and snacks (fast food) is equally expensive on average compared to other cities with a rank of 119 out of 276. Transport costs for public transport, vehicle costs, vehicle fuel, vehicle insurance and vehicle maintenance such as hire purchase / lease of vehicle, petrol / diesel, public transport service maintenance, tires, vehicle Insurance, and vehicle purchase is equally expensive on average compared to other cities with a rank of 173 out of 276. 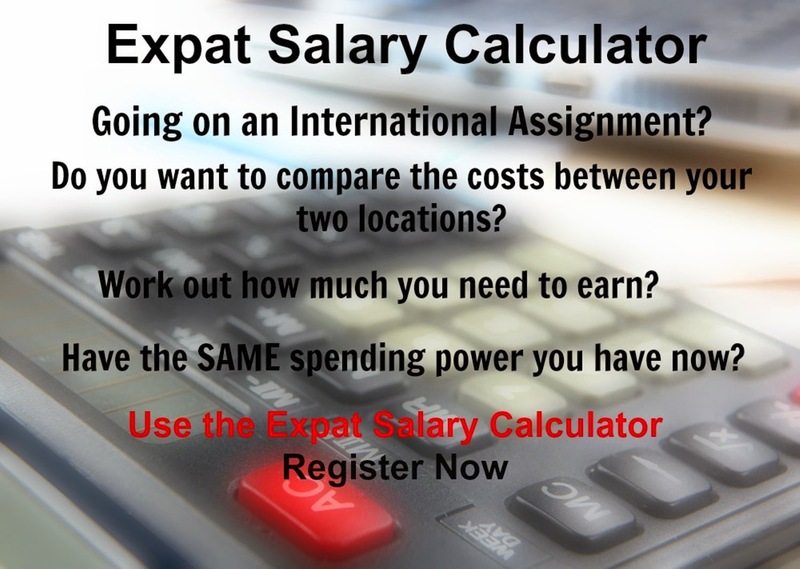 Your exact customized cost of living index for El Paso is based on which of the above basket groups as well as the comparison location you select in the Calculators. In terms of the hardship people are likely to experience, assessed in global terms, El Paso is ranked as a minimal hardship location with a hardship index of 10%. Your exact customized hardship index premium for El Paso is based on the comparison location that you select in the Calculators.